HARRISBURG – Legislation that would give full practice authority to Advanced Practice Registered Nurses (APRNs) moved one step closer to enactment by earning the approval of the Senate Consumer Protection and Professional Licensure Committee today. 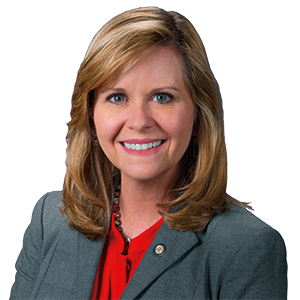 Senate Bill 25, sponsored by Senator Camera Bartolotta (R-46), would modernize the Professional Nursing Law to permit qualified APRNs to practice independent of a physician after they fulfill a three-year, 3,600-hour collaboration agreement with a physician. Current law requires nurse practitioners to practice under a collaboration agreement at all times. Studies have shown that patients who are treated by APRNs have similar health outcomes to patients who are treated by physicians. Nearly 35 percent of Pennsylvanians live in an area or population group that has inadequate primary care access. Similar legislation was approved by the Senate in April 2017 by a 39-10 margin, but the bill did not receive a vote in the House of Representatives. Several statewide and national advocacy organizations have voiced their support for full practice authority for nurse practitioners, including the Hospital and Healthsystem Association of Pennsylvania, the National Academy of Medicine, AARP, the National Governors’ Association, and the Pennsylvania Organization of Nurse Leaders. Twenty-two states and Washington, D.C. have already adopted full practice authority for APRNs. Senate Bill 25 was sent to the full Senate for consideration.